In addition to developing these tools, our PostgreSQL experts provide 24/7 Production Support, Oracle migration services, Remote DBA support, PostgreSQL Consulting, and Training. VividCortex is the best way to improve your database performance, efficiency, and uptime. It is a secure, cloud-hosted platform that eliminates your most critical visibility gap, providing deep insights into production database workload and query performance. It measures the performance and resource consumption of every statement and transaction, then uses patented algorithms to analyze and surface relevant insights, so you can proactively fix future performance problems before they impact customers. To learn more, visit www.vividcortex.com or follow us on Twitter @VividCortex. Datadog is a SaaS-based monitoring and analytics platform for large-scale applications and infrastructure. Combining real-time metrics from servers, containers, databases, and applications with end-to-end tracing, Datadog delivers actionable alerts and powerful visualizations to provide full-stack observability. Datadog includes over 200 vendor-supported integrations and APM libraries for several languages. 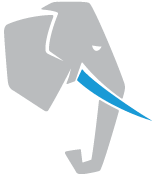 EnterpriseDB® (EDB™), the database platform company for digital business, delivers the premier open source-based data platform for new applications, cloud re-platforming, application modernization, and legacy migration. EnterpriseDB integrates with enterprise technologies and infrastructures for hybrid cloud management, data integration, and data warehousing. Our customers benefit from the most reliable, high-performing, flexible, open, and cost-effective data management platform available. EnterpriseDB is based in Bedford, Massachusetts with offices around the globe. For more information, visit www.EDBPostgres.com.